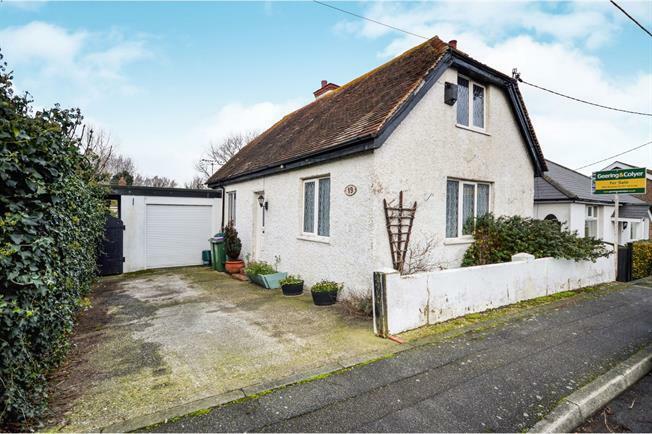 2 Bedroom Detached House For Sale in Romney Marsh for Guide Price £230,000. Guide Price 230,000 - 250,000 Detached character cottage with two receptions, two double bedrooms, basement, garage, ORP and large garden. The entrance hall has stairs leading to the first floor and door leading to stairs to basement which could be used as a study. The lounge is to the front with stripped floorboards and a brick fireplace with inset wood burner on tiled hearth. Separate dining room with stripped floorboards with stove set in fireplace. Kitchen with space for range cooker, wall and base units, sink set in work top, wall mounted gas boiler, spaces for washing machine and dishwasher. On the first floor is a nice size landing and two double bedrooms. Large rear garden mainly laid to lawn with shed. Garage with electric roller door with off road parking for two cars.